Read this before giving up on your gadget. So your food processor broke, and you’ve only owned it for one year. Or your plastic storage container cracks, and you’re tempted to just toss it. But before you run out to replace the products, you may be surprised at how many companies offer lifetime warranties, on everything from knives and cutting boards to saucepots and skillets. Here, we’ve identified the companies and simplified the fine print. 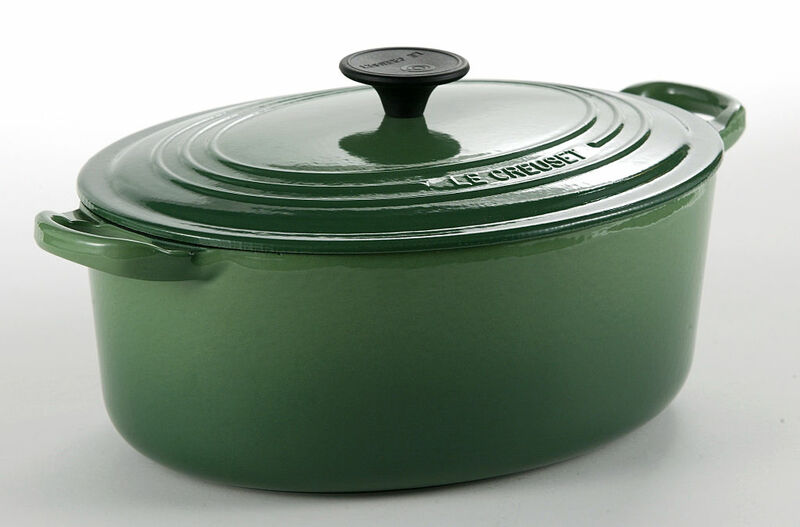 Le Creuset’s products are sure to be kitchen favorites, so you’ll want the vibrant kitchenware to last a lifetime. If you have a defected product, the company will replace it for you (although it may come in a different color). However, damage caused by normal wear and tear, or a cooking mishap, won’t score you a brand new item. Good news: once you buy a Cuisinart gadget (such as their powerhouse food processor), you’ll never have to purchase it again. If a Cuisinart tool proves to be defective, they will either replace it or repair it. Shipping and handling, however, is not included. Cutco’s products range from cheese knives to cutting boards—and they're all covered under warranty. It doesn’t matter whether you’ve owned the product for just a few months or 10+ years, Cutco has your back, no receipt necessary. Just send in your product with a note explaining why you’re unsatisfied, and they will inspect, sharpen, repair, wash and return it. If any of your purchases are chipped, cracked, broken or peeled, just give a call to Customer Service and they will replace it for free. However, this policy doesn’t apply to all items—products marked with a Q symbol can be only be replaced for up to one year, and those marked with the G symbol can be replaced within 30 days of purchase. All Clad’s lifetime warranty is linked to their commitment to the environment. They’ll gladly replace defective cookware products, but not ones due to misuse or overuse. Any electric products (slow cookers, waffle irons, etc.) have a warranty of two years, while accessories and spare parts have a timeframe of one year. Not only does Big Green Egg offer a lifetime warranty on their collection of ceramic cookers, they were also the first ceramic grill manufacturer to do so. One of their most popular products, the large Big Green Egg, can cook 20-pound turkeys, 12 burgers, six chickens, eight steaks, or seven racks of ribs. Their lifetime warranty applies to the grills, while the warranty on accessories and their other ceramic products ranges from one to five years. What We Love: Big Green Egg Mini for $399, from a dealer in your area.